In the world of flight, landing and take-off is the most difficult and dangerous. Although it looks simple, the fact is the pilot requires a high focus, cooperation and the track is good for landing the aircraft with safely. 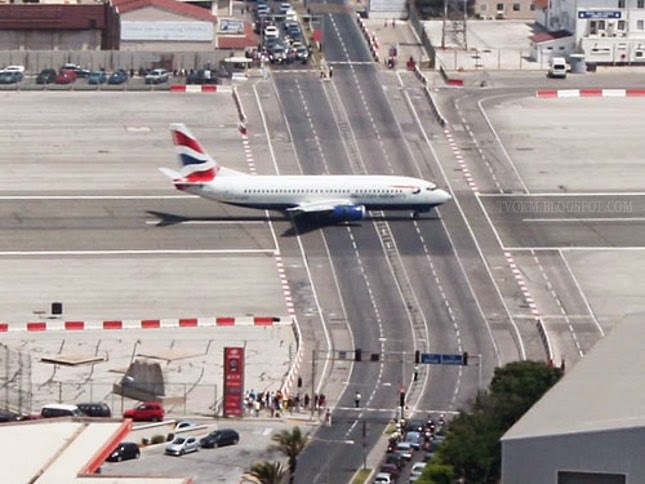 However, how with the airport which has a short, steep, or dangerous path? 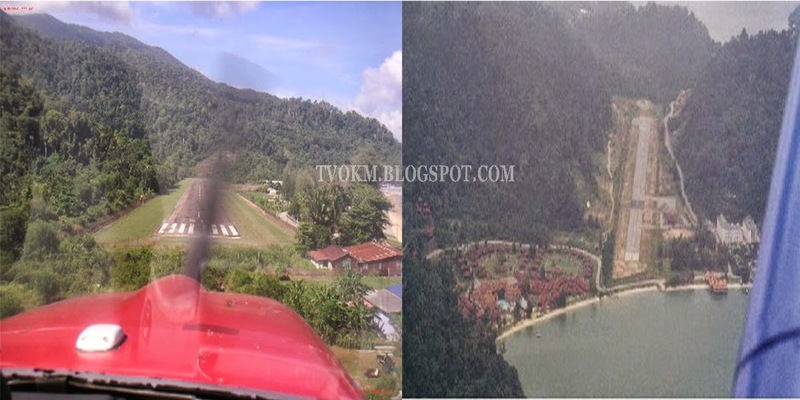 Certainly, the pilot with many experience and high skill that allowed doing the flight field. Here are the eight most dangerous airport and requires serious consideration before you travel to the location or making a landing. 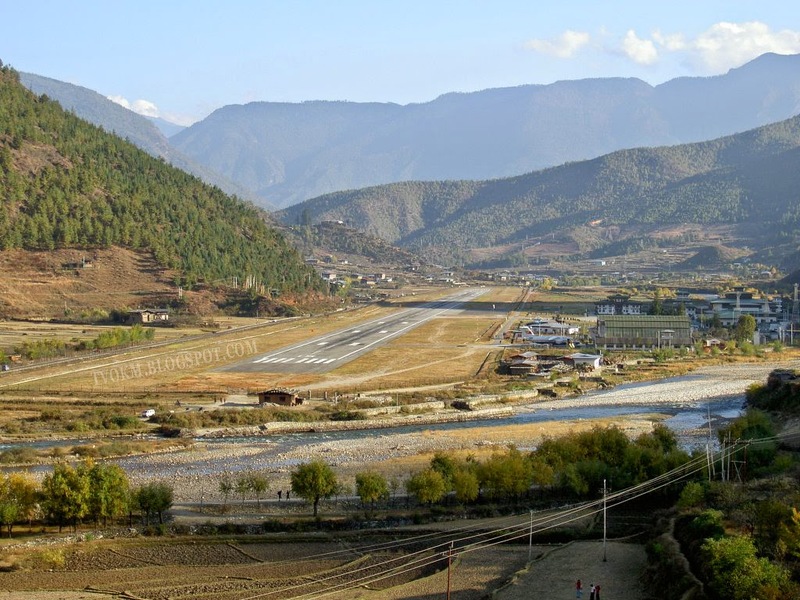 Surrounded by the high peaks of the Himalayas, the airport is said to be most challenging for a pilot. Aircraft that want to make a landing must not only avoid the peaks surrounding the airport, but also must descend carefully as there are dozens of buildings near the airport. In some instances, planes come within a few meters of rooftops. However, the process of landing can be increase with the presence of wind. 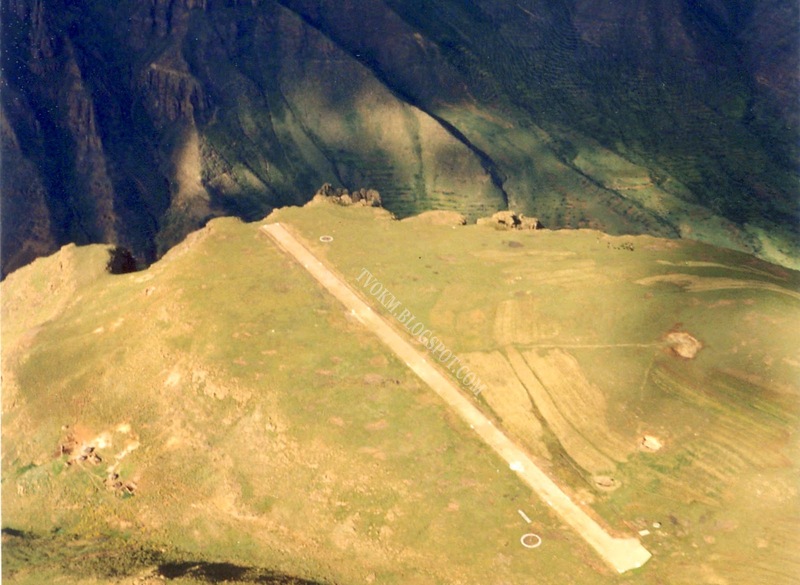 Nowadays, only eight pilots in the world are considered capable of landing in such a location. Have you ever wondered how the airports were designed in Antarctica? 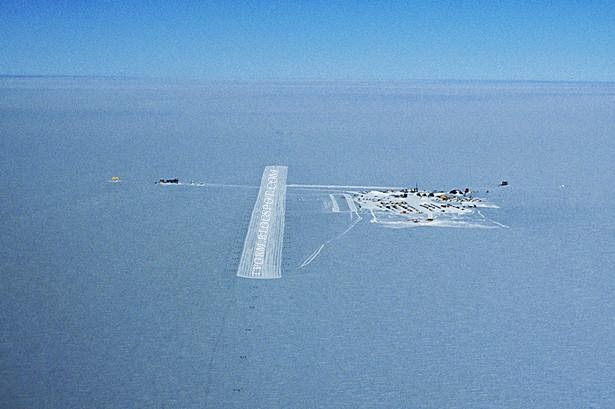 The airstrip in the continent is made entirely of ice (without land as a base to support the structure below it). Even in Spring, the layers of ice still thick and capable of supporting the weight of aircrafts. However, if the plane is too heavy, it can probably get into an accident and plung directly into the cold water. Surprisingly, in winter, the ice becomes so weak and it will be impossible to land a plane safely, even though it may be just a light aircraft. Short runway at about 400 metres. It is often a serious topic of conversation the runway because of does not provide enough space for the pilot to take-off. Located in the high mountains, the pilot will need to fly directly from the edge of the cliff to as high as 610 meters before taking-off into the air. 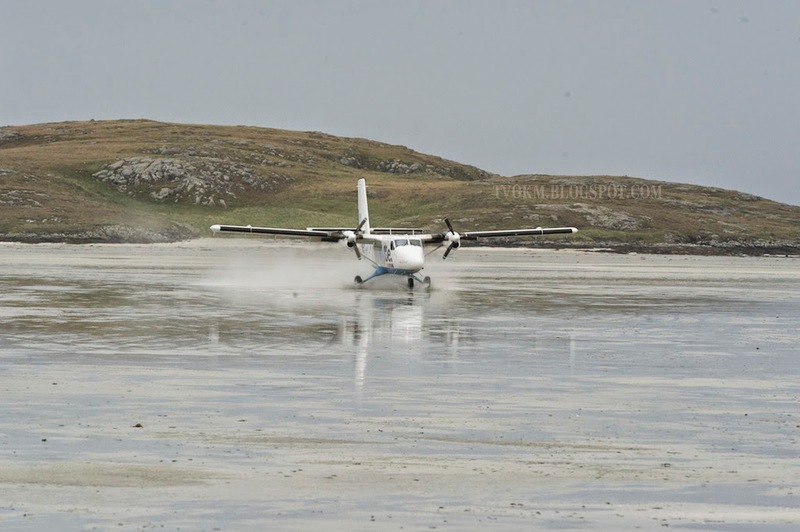 This airport is the only one in the world in which the aircraft must land at the beach. Barra is the island in the Outer Hebrides with which only has a population 1174. It is no wonder if the public is not interested in coming to visit the island because the airport is the beach and the beach is the airport. In the event of a high tide, the pilots must ensure an appropriate landing, if not, they will fly directly into the sea. This airport is unique and can sometimes be creepy. This is because the track is in the middle of the main highway. When the aircraft is landing or taking-off, the bell will be rung and the road barriers will be lowered as in most railways. The danger is always there, if any car crosses suddenly! Nevertheless, the authorities always take precautions with the shutting down of both lines of the highway when an aircraft is about to land or take off. The airport is said to be very dangerous and pilots who fly the aircraft to the island must receive special training before being allowed to fly here. They had to fly directly to the mountain range before making a sharp turn to enter the runway. In this circumstance, the shadow of death is always lurking. If the plane fails to land safely, the risk of losing many lives is high. 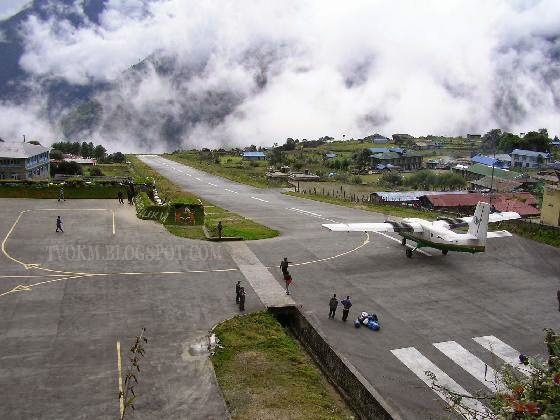 Known as one of the busiest airport in Nepal, the Tenzing-Hillary Airport operates at a height of 2438 metres and has almost none of the characteristics of modern traffic control. Worse still, the airport has no light and only has limited supply of electricity. The area often face problems of cloud cover and bad weather. For that reason, only daytime flights are allowed. Landing a plane here also depends on the skill of the pilots. 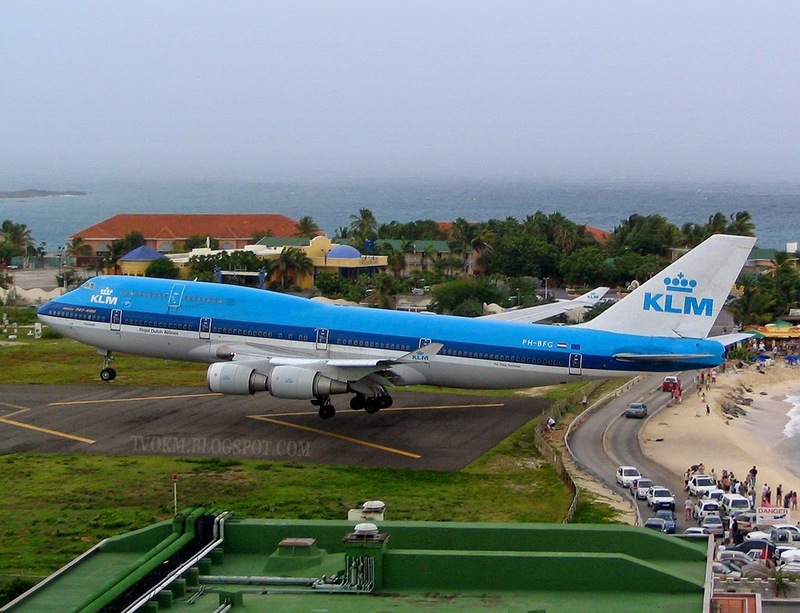 Initially a military airport during World War II, but now it has become a major hub for in the Carribean. Planes wanting to land in the area usually fly at a low altitude of a few feet from the ground. The public, in particular tourists, will gathered to watch planes land and taking off. As for the pilot, he has to be adept at steering the aircraft in order to avoid a collision with St Peter's Church Hill nearby. it was so scary but felt like also to go there..